Nothing is as exhilarating as skiing on a perfect day. The sky was bright blue, the snow was powder-perfect, and my equipment was ready to go, including my amazing GoPro camera. GoPro makes the best cameras in action videography today, and I was going to capture this amazing run. You probably noticed I fell right at the beginning…? Nobody’s perfect, but after getting back up, I was ready to hit the slopes with careful precision. I can’t tell you how incredible it is to relive my adventures in crisp, 1080p video quality. And I owe it all to my amazing GoPro camera! 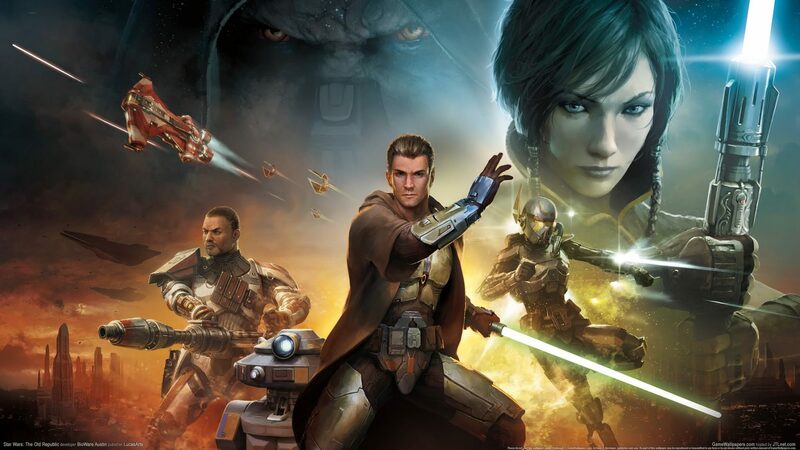 Bioware is known for being master-storytellers in gaming, and they’ve been pouring resources and time into their flagship MMO, Star Wars: The Old Republic (SWTOR for short). Last Christmas, there was a focus on new story-driven content with the release of Knights of the Fallen Empire, which was 5th expansion since SWTOR released in 2011. It introduced a more cut scene-driven gameplay experience, which was hailed pretty universally as a huge step forward. Over the course of 11 or so months, SWTOR released updates to the KOTFE storyline in the form of chapter releases, typically including a former character in their previous storylines coming back to help The Outlander (that’s the player) with their quest to defeat Arcann and save the galaxy from total annihilation. The KOTFE storyline ended with the ultimate defeat of Arcann, only to be betrayed by Senya, one of The Outlander’s closest allies, as she went to try and save her son. Some of the best gameplay and storyline content was in that last chapter of KOTFE, and it was extremely enjoyable. Knights of the Eternal Throne (or KOTET for short) released officially in early December this year, and continues the storyline of the Outlander, now combating Arcann’s evil sister Vaylin and former ally SCORPIO as they work together to try and eliminate the Alliance once and for all. SPOILERS AHEAD – if you don’t want to know more about the story of the new expansion and how it plays out, then I urge you to stop reading now…you’ve been warned. A lot of the usual players are here…Lana Beniko, Theron Shan, even the spirit of Valkorian, the Eternal Emperor (more on him later). Right away, you get thrust back into the action by heading to…Voss? That’s right, we’re headed back to Voss, where Vaylin and SCORPIO have tracked Senya, trying to get Voss’ mystics to heal Arcann. Oh and while we’re here, we might as well use the Eternal Fleet to completely vaporize Voss. I guess it makes sense considering the Shrine of Healing was a major plot area in the quest to Level 50. Arcann is healed and then flees the scene before you can talk to him. Senya, as a result of the healing process the mystics employed, is now in a coma-like state, alive but barely. Vaylin isn’t satisfied and as will be made heartbreakingly clear in this storyline, shows her displeasure by killing more of her own people. Honestly, it’s a wonder there are any Zazuulans left for her to kill at this point. From there, it’s a wide ride to many new places (an automated planet called Iokath had some fun adventures and Nathama was just odd) but in the end, you’re back on Odessen to take down Vaylin once and for all…or so you think. PLOT TWIST TIME – Vaylin’s powerful spirit, while tremendously powerful, wasn’t powerful enough to exist in spirit form on her own, so her spirit transferred to you in the final battle. Surprise! You’re now housing two powerful evildoers in your head…so the final battle actually takes place…in your mind. That’s right, as you head to Zakuul with intentions on claiming the Eternal Throne, driven by Valkorian’s desire to see you take control of his empire, Vaylin is hanging out in the recesses of your mind, and when, given the chance to eliminate Valkorian with a holocron, you’re thrust into the mindscape of your own consciousness, and here’s where it gets weird. I won’t go into details here, because it really isn’t possible to describe, but you take many steps to finally face Valkorian and you’re not alone. If you manage to defeat the Eternal Emperor, you then can choose how you want to rule from the Eternal Throne…as a benevolent peacekeeper (Light-side points) or malevolent dictator (Dark-side points). From there, the game goes into Level 70 overdrive with the introduction of “uprisings”, which we’ll get into in a later blog post. Overall the story is great and even though it diverges in the wood at the end, I think most fans of the game will find it pretty satisfying. It does seem a bit odd to become the Emperor of Zakuul only to end up back on Odessen and having to sell your goods to random vendors. One of the other aspects of the game that I really like is Dark Side/Light Side power struggles in the game. You choose which side to fight for and throughout your time in-game, the system will update you as to what side is winning where you are. Another thing we’ll get into eventually is the point system implemented in place of leveling beyond level 70, otherwise known as the Command Points system. It is a bit perplexing to me why they’d institute that if they intend to increase the level cap in future updates, but maybe they don’t. Who knows. I enjoyed the chapters in KOTET, and I think you will too! Until next time, this is Super Lazy Gamer signing off. Watch this space.